Writing this on the plane from Barcelona to London, this may seem off subject whilst enjoying a European summer. That being said, the pilot just announced London in 10 degrees celsius when we land eek! This winter post might be relevant after all! Before heading on my summer adventures, knitwear and maxi coats seemed to occupy wardrobe space that bit more. The washing basket at home is still full of jumpers which were necessary pieces of clothing before leaving. 1. 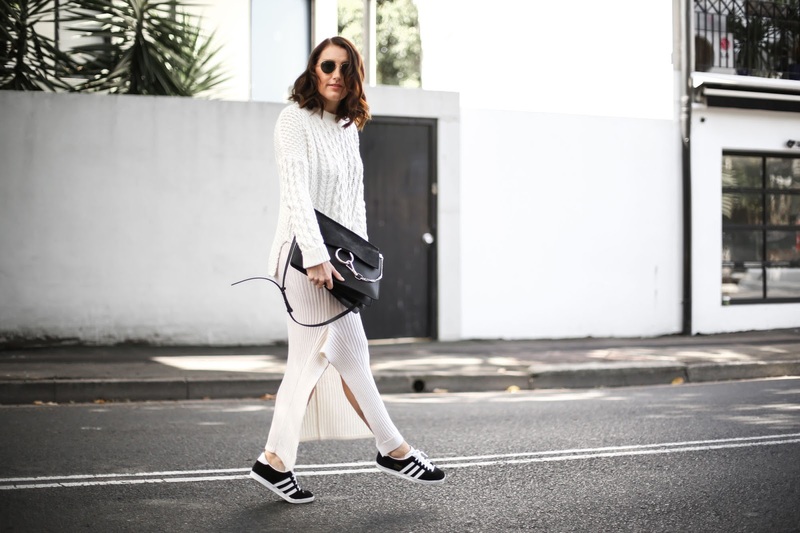 The flared sleeve and culotte combo. This has to be one of my favourite looks from Fashion Week SS16. 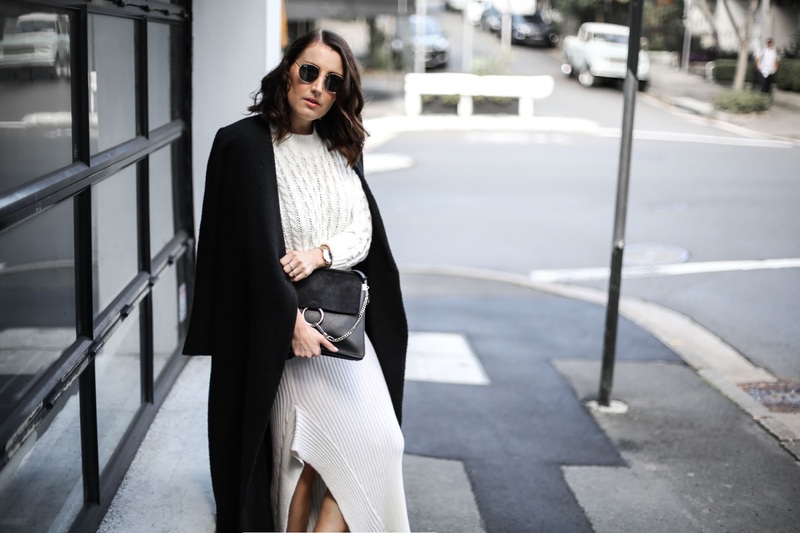 The best tones are the warm oatmeal kind and look killer with a pair of high heeled ankle boots and statement bag. Try adding a cuff sleeve shirt for added styling points. 2. 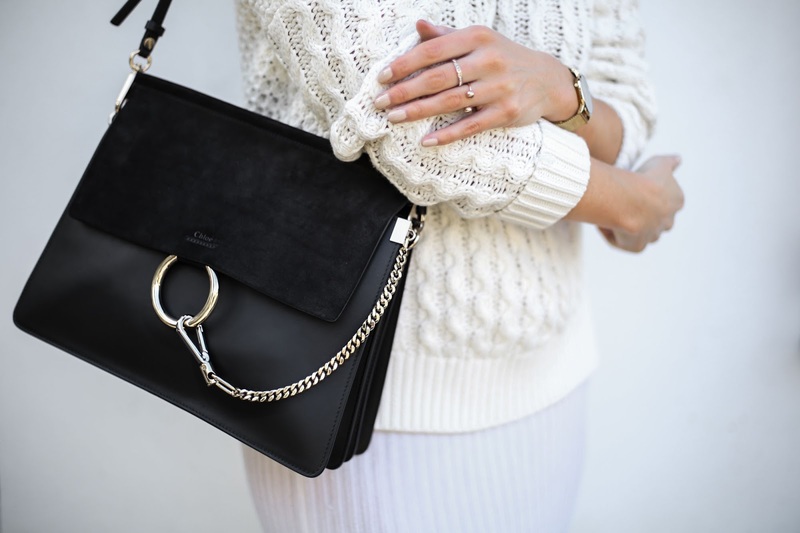 Cable knit and knit midi. Exactly the look I am wearing today. 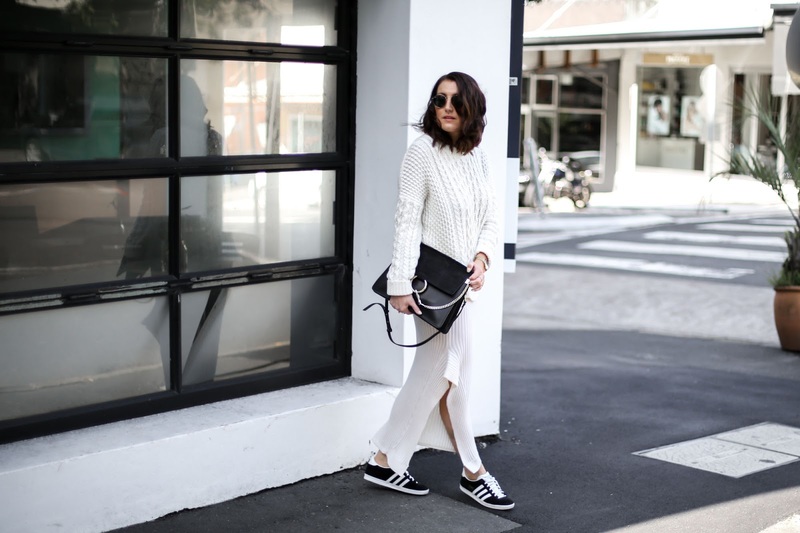 A big fan of matching the knits so I have broken up the look with black accessories and added a pair of trusty Gazelles for a street chic feel. 3. Tweed jacket and A-Line skirt (think Chanel/Blair Waldorf Gossip Girl) This channels a more vintage style and looks on point with a pair of Mary Jane’s and white tee. 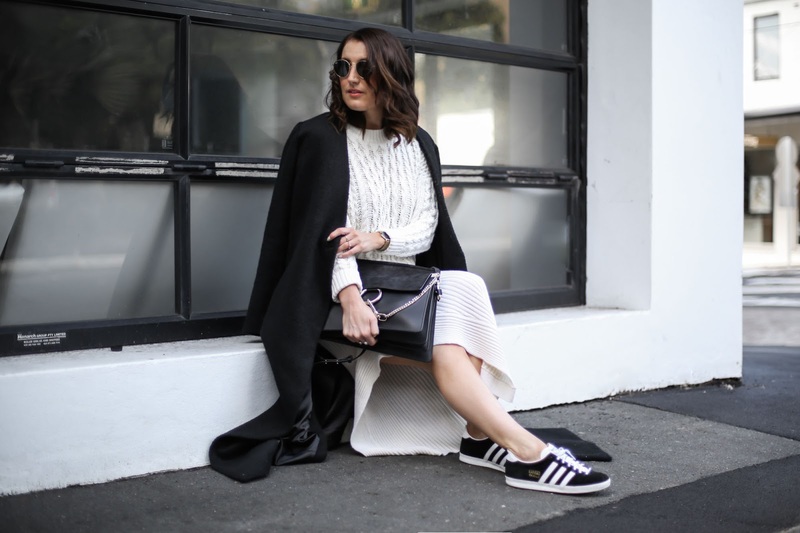 So many of these retro chic looks are coming back, and think this combo is the perfect look for an Australian winter. 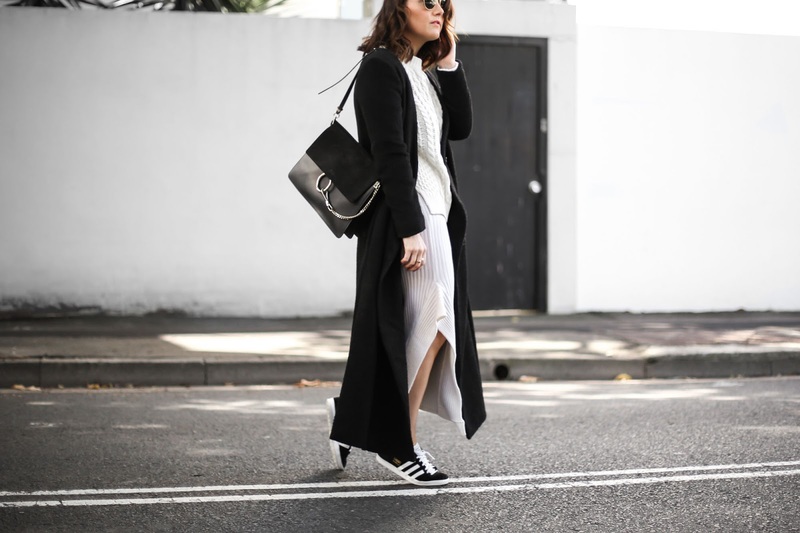 Adding a caped maxi coat is also a winner and will make you look a part of the Parisian fashion culture in no time. If double knitwear isn’t for you, there’s always the oversized knit and mom jeans combo which is comfortable and on trend right now. 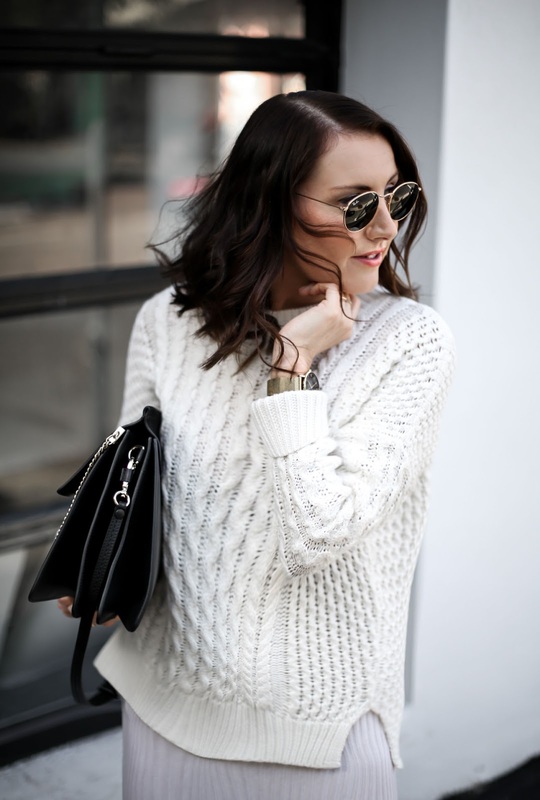 Every winter I am always on the hunt for cable knit jumpers and see them as a staple item - they never go out of fashion.